There is something so classy and sophisticated about antique living room furniture that it immediately provides your homes with a traditional splendor. 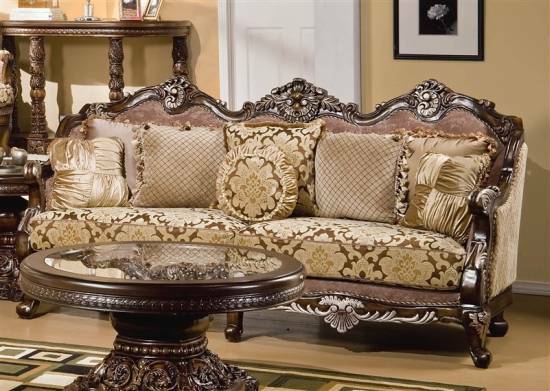 The timeless appeal of antique living room furniture makes a lasting impression on all those who visit your home. For those who believe in magnificence and the ageless beauty of the vintage look, the following are the 16 best antique living room furniture ideas. The classic décor of this lovely living room with its antique sofa and marble table top evokes images of the Victorian era. The classic bookshelf behind the sofa and the wrought iron ladder placed over it gives this room an essentially traditional look. It looks like a set of an old vintage movie. For those who are a fan of the classic 19th century look this will surely be a great source of inspiration. 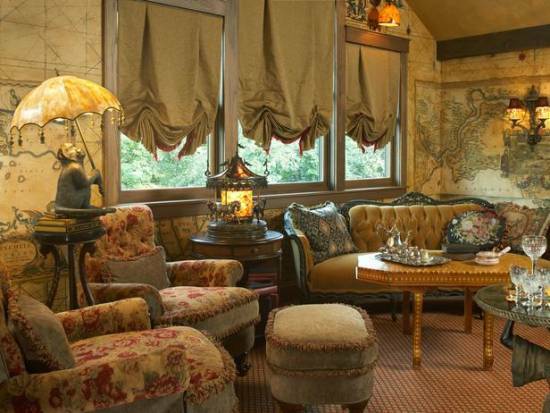 The lovely and traditional gold toned antique furniture of this room would leave anyone gasping at its beauty. The rug provides an illusion of ostentation and richness. Combined with the other decorative elements like the potted plant and the elaborate candelabra in the corner of the room, this classic furniture gives a look of magnificent opulence. This typically European style antique living room furniture with its lovely blue colored sofas is somewhat remnant of the bygone French era. It was a time of opulence and class when the noble families would sit in luxury and have their long chats regarding matters from all around the world. It evokes a look of classic elegance and enduring beauty and when paired with the luxurious rug and the grandiose chandelier give it an ethereal look. The classic retro look is created with amazing gracefulness by the use of this antique living room furniture. It is complimented by the customized dark word floor and made all the more appealing with the minimalistic sparseness of the room. The single patterned white sofa paired with the low lying table which is accented by the geometric patterned rug gives this room a look of style and elegance. The chaise seat is one such piece of furniture which has never lost its timeless appeal. The shape or design may have changed but there’s nothing like the classic antique love seat to add glamor and class to your homes. The table is characterized by the classic Queen Anne style foot and the single Queen Anne style chair gives it an authentic antique look. Check out this room with its lovely large window and the attached animal head piece which gives it a genuinely antique touch. 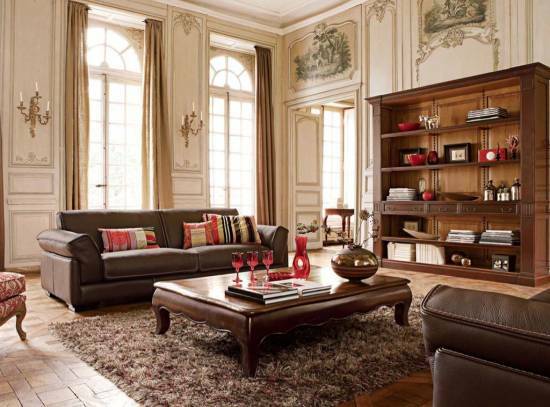 This classic brown leather sofa with its exquisite frame evokes an image of timeless beauty and appeal. The lovely textured wallpaper in the background is accented with a few paintings and the single lampshade shrouds the room in an air of mystery and elegance. 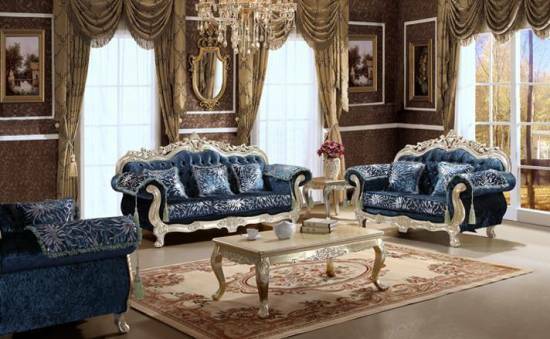 Check out the old world glamor which is depicted by this classic living room furniture set. The lovely textured walls, the classy blinds and the deliciously ornate show pieces all add up to this rooms aesthetic appeal. It’s a treat for the eyes and a great idea to decorate your room in an antique way. White is a classic and timeless color which has a certain appeal which is enduring and has lasted through all eras. 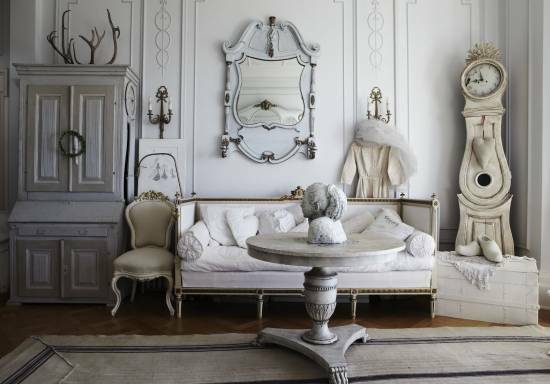 The lovely white vintage style furniture of this room gives it a traditional look without going overboard with the ostentation. For those who prefer a more simplistic traditional look minus the opulence this would make a great living room furniture idea. 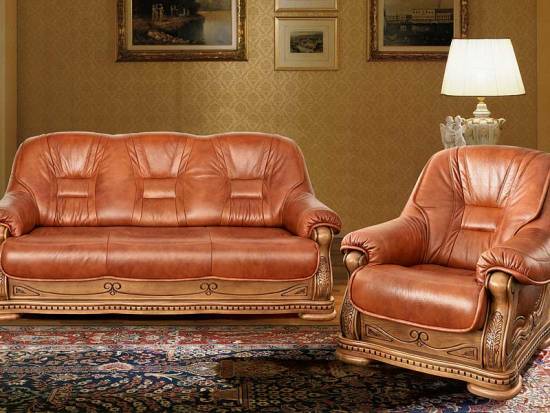 The classic Victorian era is depicted magnificently through this antique chesterfield furniture. The lush rug and the impressive lampshades along with the elaborate decoration piece in one corner behind the sofa add an otherworldly look to this room. 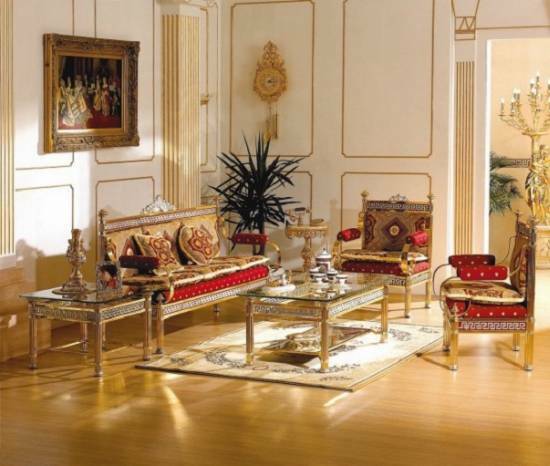 The gold accents of the furniture and its upholstered style give the room a superbly ornate look. 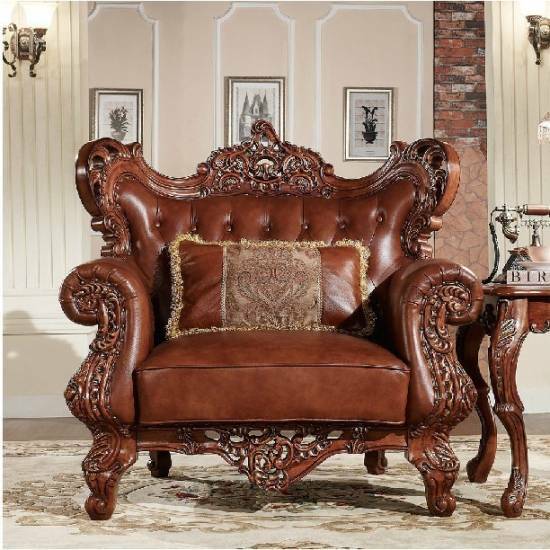 The traditionalists were big fans of handcrafted upholstered furniture and if you can afford to have at least one piece in your living room it completely transforms your rooms by giving it elegance and grace. This lovely antique settee style sofa with its carved wood is magnificence at its best! 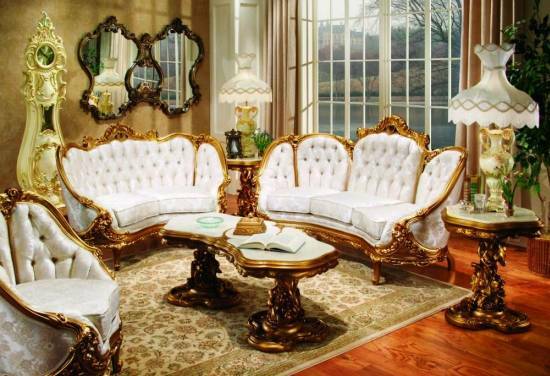 If all things quaint and classy appeal to you then this furniture would also be a great addition to your living room. Check out the old fashioned console on the wall which is used as a shelf for displaying books and various show pieces and the rectangular cocktail table. It’s an epitome of timeless elegance and quaintness at its best which is sure to appeal to people who love subtlety. 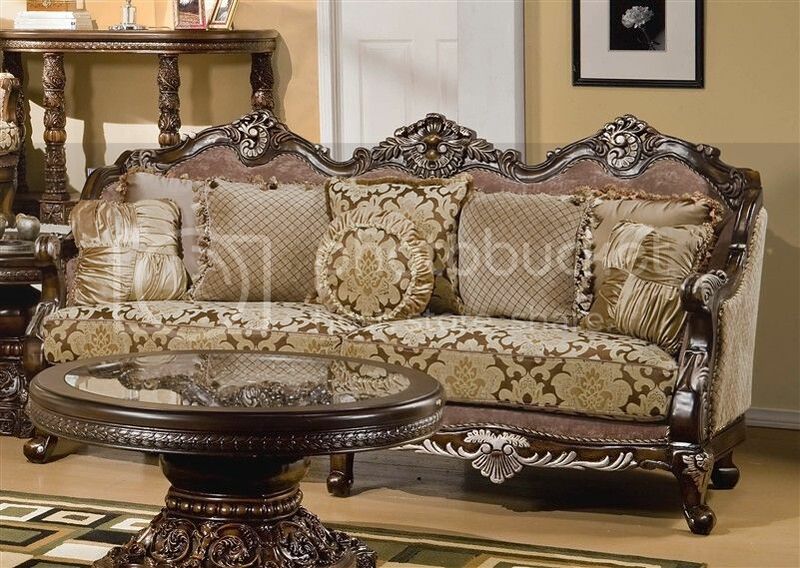 Check out the super comfortable and deluxe upholstered antique style sofa. It evokes images of old style Hollywood. The antique rectangular coffee table with its low legs and simple classic design adds a finishing touch to this lovely living room. 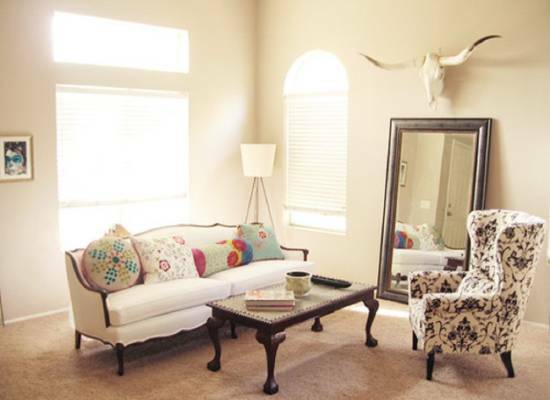 Throw in a luxurious rug and a few paintings in the background and create a living room very similar to this one! 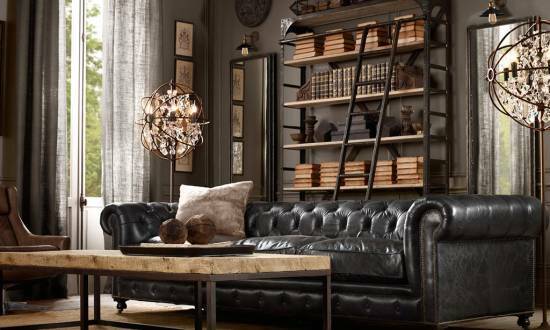 Fans of the boho chic are going to love this furniture. It’s cute and sassy and only for the bold at heart. Check out the riot of colors created in this living room with the bold strokes of royal blue. 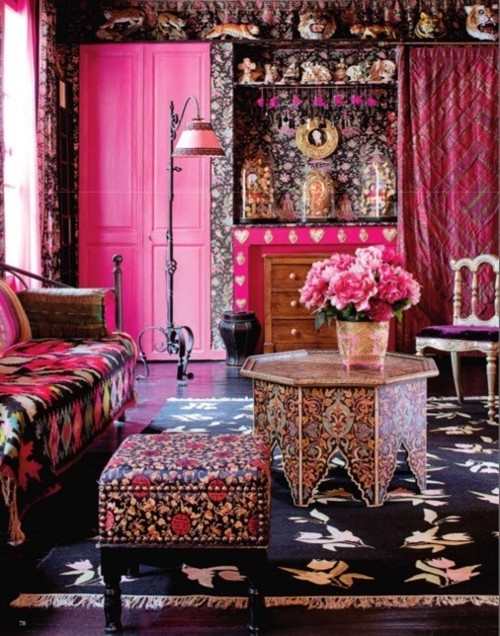 A look which might not appeal to everyone but those who love all things plush and bohemian! This classic white shabby chic living room furniture with its basic and functional deign epitomizes old age minimalism. Check out the small cupboard in the background along with the simple yet classic grandfather clock and the small Victorian style ladies chair. It gives the air a room of mystery and grace. The elegant coffee table with the sculptured bust adds an aesthetic appeal to this room. 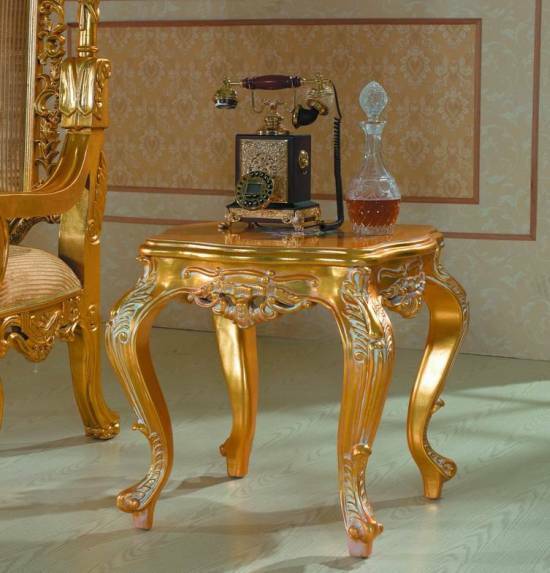 If you can’t really afford to change the whole living room furniture then simply adding this classic gold carved baroque table with its Queen Anne style feet would add an antique look to your living room. The old fashioned telephone showpiece on top of it adds the finishing touches and so does the crystal wine decanter. You can use similar objects like these to create a stunning visual display! The classic chaise lounge sofa adds a Victorian appeal to this living room and the carved round bistro table complements the look perfectly. To create a stunning antique look for your living rooms pair a similar chaise lounge with a stunning coffee table to get the very same look. Vintage furniture is a great way of adding character to your homes. If you would like to decorate your living room with antique furniture always make sure that you choose one which is easy to maintain. It is known for its unique and timeless appeal and adds a touch of class to every home. So go on and indulge yourself while looking for antique living room furniture and choose any one of the above styles which appeal to you.